The proceeds from this fundraiser will be going to our redistricting committee to help them hold a kickoff event and get more exposure for their petition, (You can view that on our website) and also for a non-partisan debate of all SC07 candidates to take place in April. Your contributions help us do more and serve our community better. We will be raffling off baskets and everyone gets one free ticket automatically! We will be selling extras. Come dressed for your favorite decade. Let’s party and forget politics for a night! 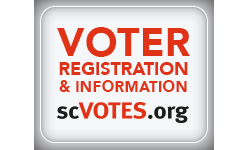 Grand Strand Action Together is a non-profit organization dedicated to protecting and defending our democracy, with a special focus on education and advocating for causes that affect our community.